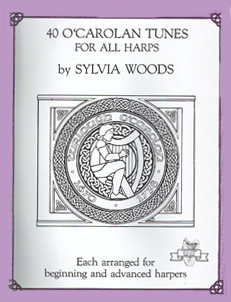 This multi-level book by Sylvia Woods contains 40 tunes by O'Carolan (1670-1738), the most famous of the Irish harper/composers. Each piece has two arrangements: an easy version, and one that is more difficult. The pieces are fingered and are in the key of C or sharp keys, with chord symbols. 112 pages, spiral-bound.